If you want to create some personalized videos with your 3GP files and play them on QuickTime MOV player or other devices, 3GP to MOV conversion is needed. Moreover, converting your 3GP files to MOV, allow you to edit files using Final Cut Pro, iMovie, and other compatible tools. The converted MOV files can also be transferred to your iPhone or iPad for playback. Similarly, to play your MOV files on your cell phones and smartphones like HTC, Blackberry, Nokia, etc., MOV to 3GP conversion is needed. In all the above situations, the top 6 MOV to 3GP converters and 3GP to MOV converters are listed below. Wondershare UniConverter (originally Wondershare Video Converter Ultimate) is the best video-toolbox that supports a variety of functions. Over 1000+ video and audio formats are supported by it for conversion. 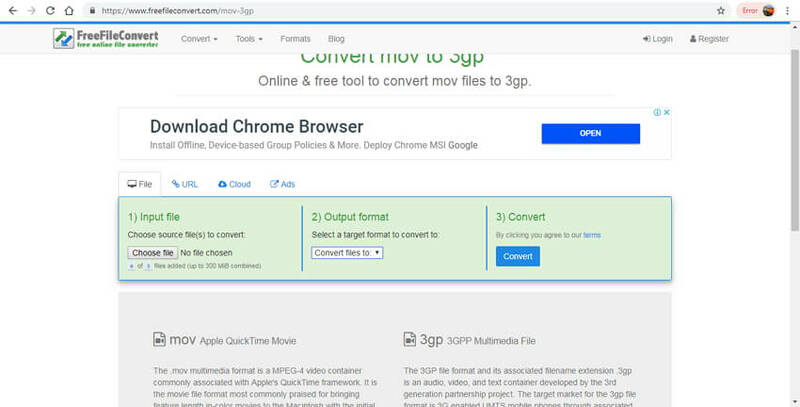 This MOV to 3GP converter downloaded is available for your Windows and Mac system, you can convert your 3GP files to MOV and vice versa without any loss of quality. The conversion speed is super fast that along with batch processing makes your tasks of converting multiple files easy and quick. You can remove unwanted parts of your video, trim them, crop, add subtitles, adjust brightness and perform other functions using the built-in video editor. The software also allows you to work with videos present on your devices by transferring them directly to the software. Video download from YouTube, Dailymotion, and over other 10,000 sites are also supported. Additional useful features of the tool include the recording of a PC screen, DVD and Blu-ray burning, video transfer to a range of devices, video compression, and others. Convert 3GP videos to MOV and vice versa without any loss of quality. 1000+ video and audio formats are supported for quick video conversion. Edit MOV and 3GP videos by trimming, cropping, rotating, watermarks, effects, etc. Support batch process to convert MOV/3GP videos easily and quickly. Download videos from YouTube and other 10000+ video sharing sites by pasting URL. Transfer converted videos from PC/Mac to iPhone/Android and other devices via a USB cable. Toolbox with additional functions like Video Compressor, Screen Recorder, GIF Maker, Fix Media Metadata, Cast to TV, etc. 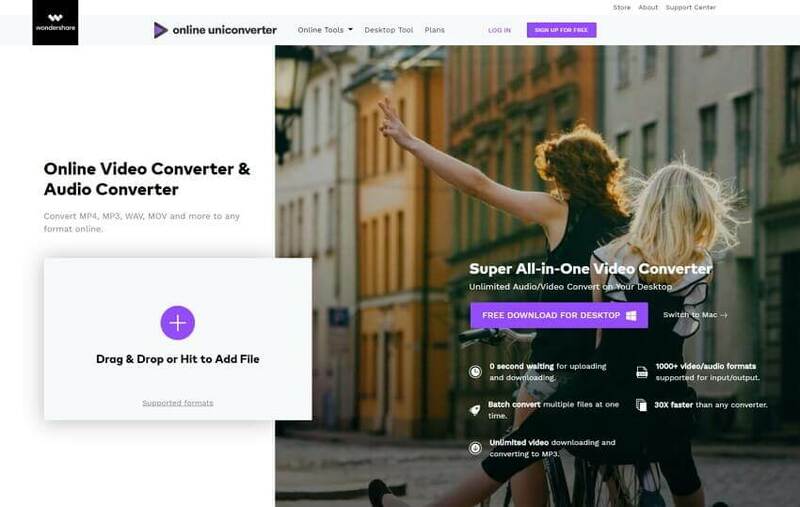 Open Wondershare UniConverter (originally Wondershare Video Converter Ultimate) on your PC/Mac. The software will open the Convert tab by default. To browse and add 3GP files on your system, click on the +Add Files button. Files can also be dragged and dropped directly. Batch processing is supported, thus multiple files can be added to the interface. After 3GP files are added, you can select the editing icons under the thumbnail image. A new edit window will open and will allow you to make needed changes. After file editing is done, it's time to select the target format. 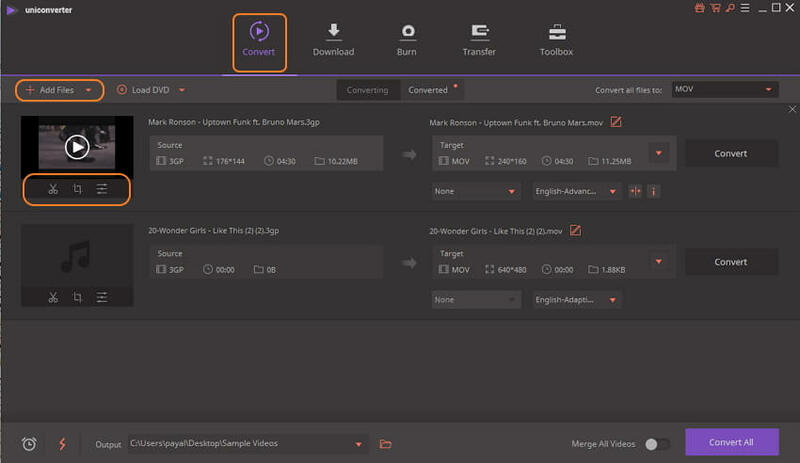 The list of supported video and other formats can be seen by opening the drop-down menu at the Convert all files to: option on the top-right corner. Select the MOV from the Video list. Also, choose the resolution of the file. Finally, hit on the Convert All button to start the batch conversion of the added files. The Output tab shows the location on PC where converted files are saved. You can browse and select this location as per your requirements. The steps above can also be used to convert MOV to 3GP, just change the input and output formats, no matter on Windows or Mac version. To convert MOV file to 3GP free online, a number of online programs are available. If you have a few files and you can manage with limited features and basic quality, these online programs are the best tools. You do not need any software installation or registration with these tools as they work from the browser. Listed below are the top 5 popular MOV to 3GP converter online tools. 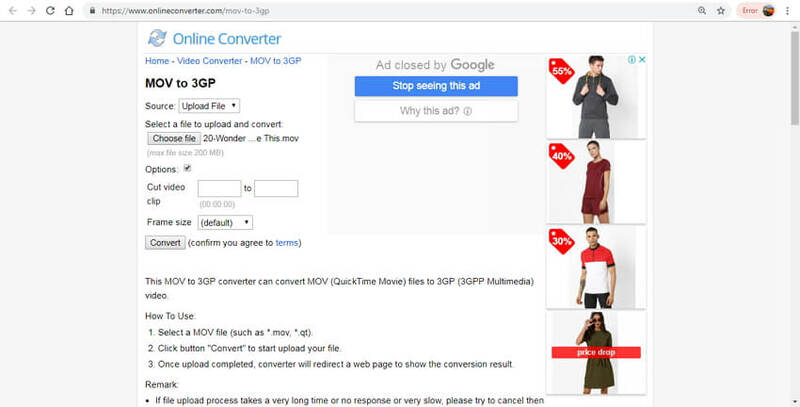 This online MOV to 3GP conversion tool features simple interface and supports conversion between all major video formats including MOV to 3GP. The program works on your Windows and Mac system without any need for software download. For conversion, you simply need to add files from your PC and select output format from the list of supported audio and video files. 2 files at a time can be added the interface for the conversion. Once uploaded, processed, and converted, the 3GP files can be downloaded to the computer or can also be saved to Dropbox. This is another widely used program to convert MOV to 3GP online. There is an option to add the files from your PC or through a URL if it is an online file. Once added to the interface, you just need to select the output format and the program will start uploading and converting your files. The processed files can be easily downloaded to your PC at a convenient location. There is also an option to get the link for the converted file on your desired email id. Using online converter you can convert your MOV files to 3GP or other desired formats. Local, as well as online files, can be added to the interface for the process. The tool allows adding a maximum of 200MB file. If needed you can cut the video clip using the program. There are also options for selecting the frame rate. Converted files can be downloaded on your PC after the process is complete. When it comes to online conversion tools, Zamzar is one of the popularly used name. With a simple interface and quick conversion, the tool supports all popular conversion types including MOV to 3GP. You can browse or add the file to the program or can even drag and drop them. Option to add online files through their URL is also supported. After the desired MOV files are uploaded and processed, you can download the 3GP files to your PC. Option for sending converted file link to email is also there. Using FreeFileConvert, your MOV files can be easily converted to 3GP without installing or downloading any software. In addition to local PC files, the program also allows working with online and files stored on cloud storage. The program allows adding a maximum of 5 files at a time having a combined size of 300MB. As target formats, the software supports an array of archive, video, audio, documents, image, and other file types. Desktop, as well as online conversion tools, have their own pros and cons. Depending on how many files you need to convert, features needed, and other parameters, you can choose the best-suited program. To help you with the selection, the table below compares desktop Wondershare UniConverter (originally Wondershare Video Converter Ultimate) and online 3GP to MOV or MOV to 3GP tools on basis of different aspects. Above listed are various tools to convert MOV to 3GP and convert 3gp to MOV free online or on Windows/Mac, choose the best one as per your requirements.